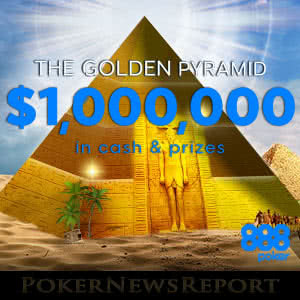 888Poker is challenging players to climb up the Golden Pyramid and share in $1 million of cash prizes, casino freeplays, sports bets and Club tokens. 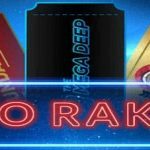 888Poker´s new Golden Pyramid promotion must be one of the easiest ever to cash in. 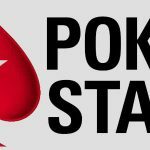 Every day until 30th July, the site is hosting a series of NL Hold´em freeroll tournaments with $12,000 in cash prizes. Finish in the top 3,000 places in the daily final tournament, and you will win a seat into a weekly final with a $10,000 cash prize pool. Plus, there´s more. Every day throughout the promotion, 888Poker will offer you the chance to spin the “Wheel of Ra” and win further tournament entries, casino freeplays and free sports bets. The site will also be giving away 600,000 Gold Coins each week in “Mystery Gold” tournaments that can be exchanged in the 888Poker Club for tournament entries, no deposit bonuses, and cash. The Golden Pyramid promotion consists primarily of a four-tier tournament steps program. The first step – the Pharaoh´s Tournament – takes place four times daily at midnight, 2:00pm, 4:00pm and 9:00pm (all times GMT). Each Pharaoh´s tournament has a $500 cash prize pool, plus the top 3,000 players in each tournament will receive an entry ticket for the next step up the Golden Pyramid. Step 2 consists of twice daily Sphinx Tournaments. 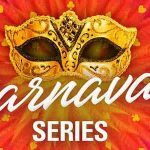 These take place at 5:00pm and 10:00pm and each have a cash prize pool of $2,000. The top 3,000 players in each Sphinx Tournament will also progress to the next daily final – the Tutankhamun Tournament. This tournament is played at 7:00pm each evening, has a cash prize pool of $4,000 and feeds 3,000 players each day into the weekly final. The weekly final – or Rameses Tournament – has a cash prize pool of $10,000. It is played at 9:00pm on Sundays, so expect a long night if you intend getting close to the top prizes, as there could be anything up to 20,000 players entered. Players who win multiple entries into the Rameses tournaments can hang onto excess entries and use them any time before the end of the promotion. However, tickets into the daily tournaments (Pharaoh, Sphinx and Tutankhamun) expire 48 hours after being issued. If you have an active real money account with 888Poker, you should receive an email explaining how you can claim your first three tickets into the entry stage of the pyramid. Once you have played in your first Golden Pyramid tournament, you can win further entries into the tournaments by completing daily challenges. The more valuable the tournament, the harder the challenge. You can win up to four extra Golden Pyramid tickets per day via the daily challenges. Further tickets can also be won via the “Wheel of Ra” promotion (below). 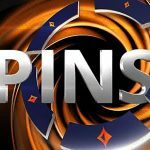 However, if you do not have an active real money account with 888Poker you will not be eligible to complete the daily challenges or spin the “Wheel of Ra”. Find out more about how you can register for a free account in our 888Poker review. The Wheel of Ra is an incentive for players to log into their 888Poker accounts every day. On opening up the poker client, you will be offered the opportunity to spin the wheel and win a Golden Pyramid tournament entry ticket, a casino freeplay voucher or a free sports bet. You will also be invited to take a second spin of the Wheel of Ra if you log into your 888Poker account via the mobile app between 5:00pm and midnight (all times still GMT). Three Golden Pyramid tournaments each week will be selected each week as “Mystery Gold” tournaments. You won´t know you are in a “Mystery Gold” tournament until after the tournament has started, but if you suddenly find everybody at the table getting more excited than usual, you will want to finish in the top one hundred places to be awarded 2,000 Gold Tokens, that can then be exchanged via the 888Poker Club for cash, no deposit bonuses and general tournament entry tickets. The sharp-brained among you may have realised the combined value of the Golden Pyramid tournaments falls a bit short of the $1 million prize pool for the promotion advertised by 888Poker (around $360,000 short). This is due to the value of the freeplays, free bets and Gold Tokens that will be distributed throughout the promotion. Make sure you don´t miss out on your share of the extra prizes available throughout the Golden Pyramid promotion.